Monday, October 15th, 2018 we'll meet you at 10 a.m.
in the biology building's lecture hall (building 35, room 01) (googlemap coordinates)There will also be 'buslotsen' guiding you from the stops "Sedanplatz" as well as "Hochschulen Westerberg"
Be. There. 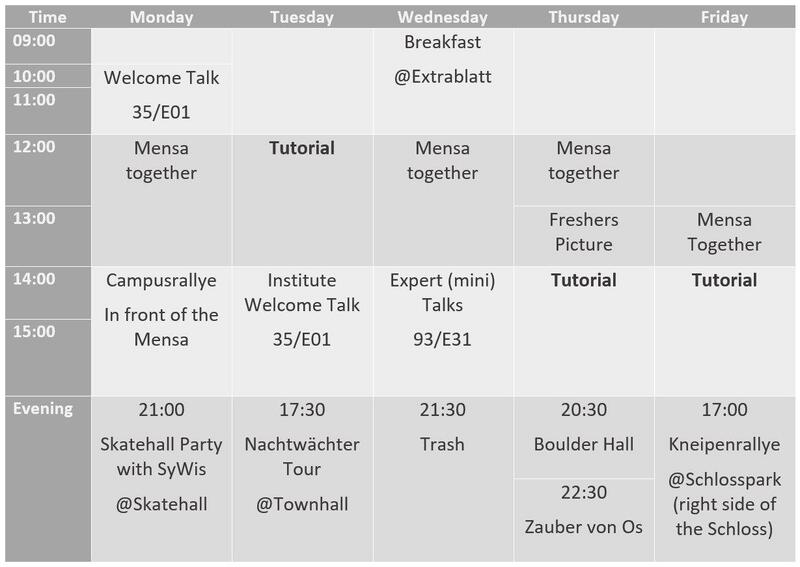 In case you're not able to show up, please contact the Mentoring-Team who will help you getting started in Osnabrück. Have a look at the Study Guide or start stalking your lovely tutors. We hope you have a superb first study-week and a lot of fun!